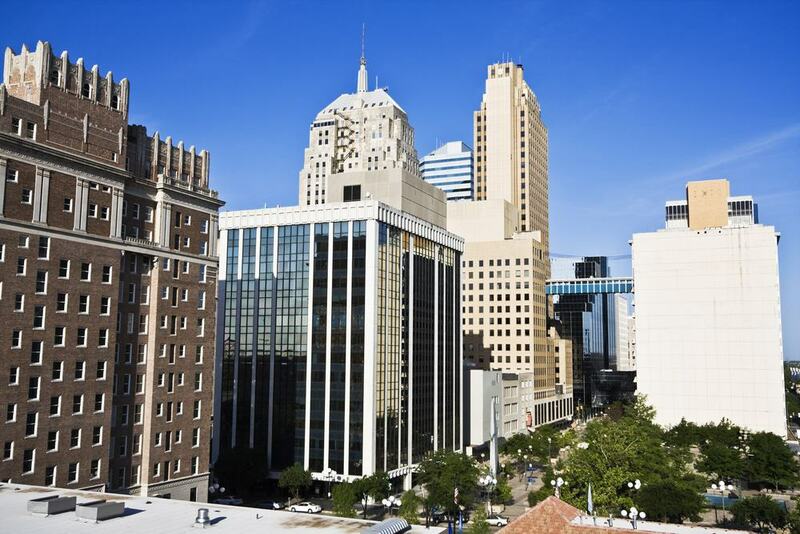 The effortlessly dynamic city of Tulsa is the second largest in the state of Oklahoma, and as a result boasts an incredibly diverse range of entertainment for the inquisitive visitor. The city is home to an enchanting combination of metropolitan marvels imbued with an incomparable sense of Southern hospitality. You’ll find restaurants and bars galore in the Blue Dome Entertainment District; a rich cultural legacy that can be seen at the Tulsa Performing Arts Center; or fascinating history at the Gilcrease Museum. The surrounding state of Oklahoma, however, hosts a seemingly endless array of natural and cultural destinations, ranging from gorgeous state parks and waterfalls to traditional Southern cities and art destinations. 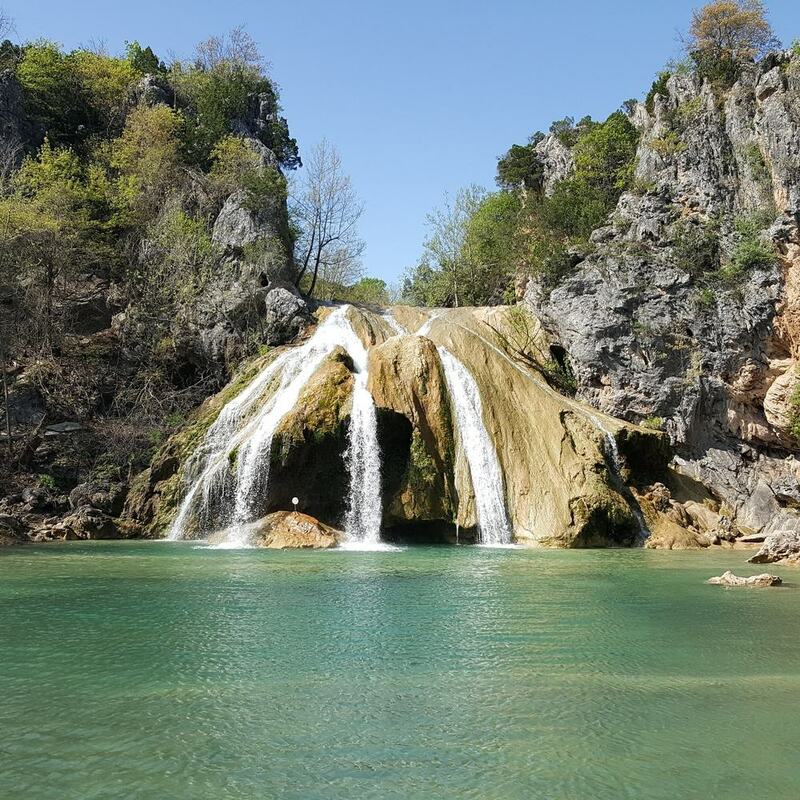 For an unforgettable, nature-filled adventure, head out to Davis, where you’ll find the tallest waterfall in Oklahoma – the stunning Turner Falls. At the falls themselves, you’ll find swimming holes, climbing spots, jumps and hidden caves, making it an incomparable summer destination for groups or families looking for some fun in the sun. The wider park also contains numerous hiking trails which are perfect for working up a sweat before cooling off in the glittering water. Be sure to peruse the many charming independent boutiques found around Davis before heading back to Tulsa. Also on our list is the largest lake in Oklahoma, a prime hotspot for fishing thanks to the rich diversity of fish found here, and offering a wealth of other activities that make it an enviable day trip. With over 600-miles of shoreline, there are endless pursuits to keep visitors occupied, from golfing and boat tours to relaxing on one of the many beautiful beaches that are back dropped by pine trees. Less than two hours from Tulsa, you can spend the entire day in the sun at Eufaula and grab lunch at one of the delicious waterside eateries. Those visiting from Tulsa will immediately run into a wealth of things to do in North Oklahoma City upon arrival to the north side. The eclectic Bricktown is home to some of the best entertainment in the city, from attractions housed in the warehouse district to numerous iconic bars, restaurants and clubs. Or the acclaimed Science Museum Oklahoma, that is bursting with hands-on attractions and family-friendly fun. Not far from the center of the city, you’ll also find the famed Lake Hefner Park, a favourite spot for fishing enthusiasts and boaters, and home to some truly gorgeous sunsets – it’s a perfect spot for some lakeside relaxation. The shocking scarlet canyon walls that give the park its name are the ideal setting for anyone seeking some outdoor adventure in one of the most unique and intriguing state parks in Oklahoma. Red Rock Canyon State Park is just over two hours away from Tulsa and offers tranquil hikes between the sheer rock faces that make you feel like you’re a world away from the busy city. Those interested in settler history will be fascinated by the century old wagon wheel found on the routes. For an adrenaline-fuelled afternoon, you can also go on guided or independent rappels down the canyon walls. 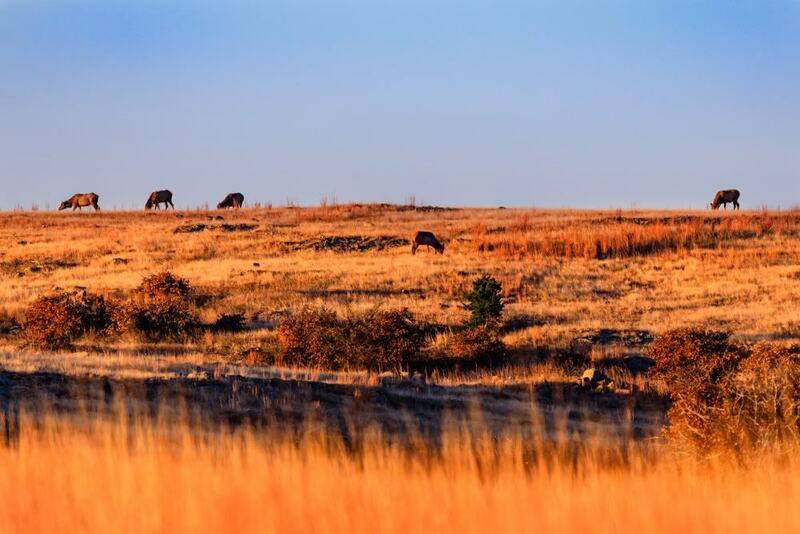 The huge expanse of the Wichita Mountains Wildlife Refuge covers an astounding 59,000 acres, and offers an incredible range of activities for nature lovers and casual visitors alike. Home to a hugely diverse range of animals, from the famous Texas Longhorn to buffalo and elk, you can spend hours watching herds of majestic animals amble by in the gently rolling prairies of the refuge. 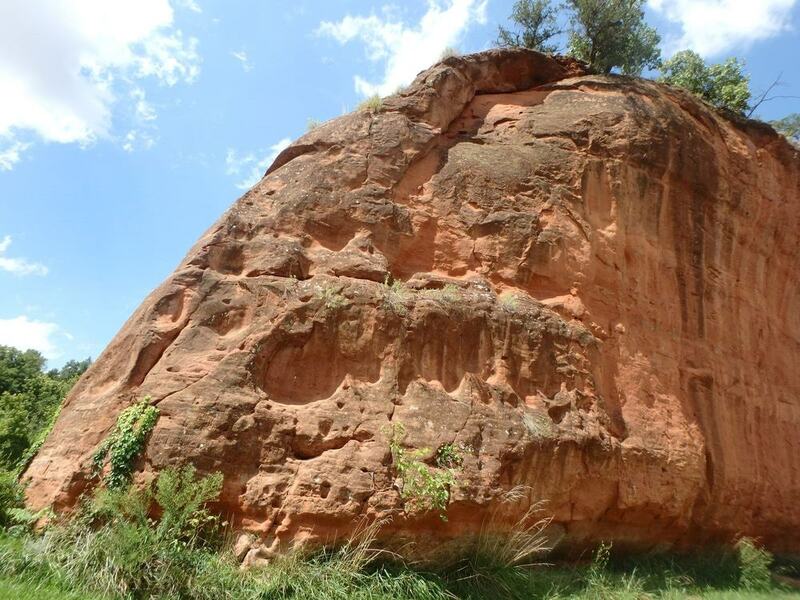 There are numerous hiking trails through the scenic landscapes, as well as guided tours that will inform you further about the ecosystems and animals present in the park. 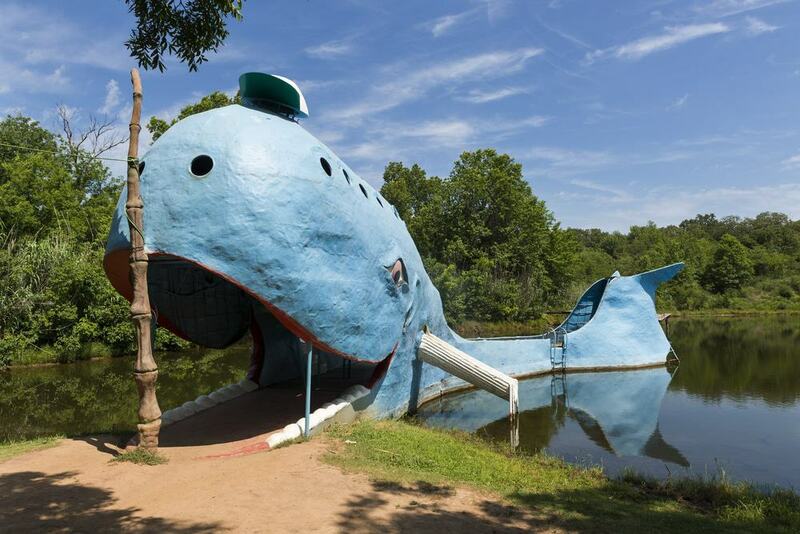 Heading out on Route 66 from Tulsa, you’ll find one of the most beloved roadside attractions in Oklahoma, one that has been a popular stop-off point for decades. The Blue Whale is an enormous waterfront structure that takes the form of a huge sperm whale. It is fashioned out of cement and piping and boasts a big toothy smile. Built in the early 1970’s, it is regularly maintained by locals. Nowadays, it features various picnic tables and a concession stand selling postcards and souvenirs, making it a wonderful place to relax by the water’s edge and enjoy a picnic in the sun. The city known as the foodie, cultural and historical center of Osage County is a must when it comes to day trips from Tulsa. 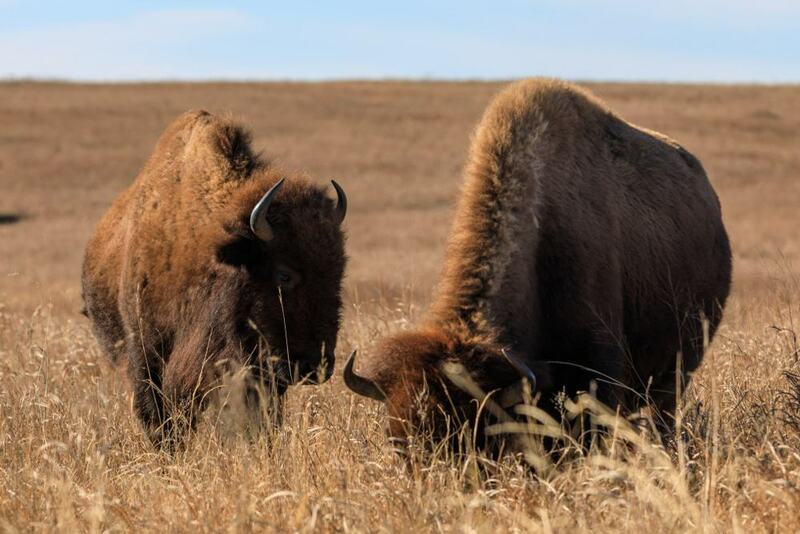 You’ll have the chance to see Bison in the Tall Grass Prairie Preserve before heading into town in search of a bite to eat. Here there’s no other option apart from the Pioneer Woman Mercantile, which acts as a store, restaurant and bakery in one, serving truly delicious freshly prepared organic food. Downtown, you’ll find over 80 impeccably preserved buildings from the 1800’s, and you can learn about Osage Nation history in the Osage National Museum. 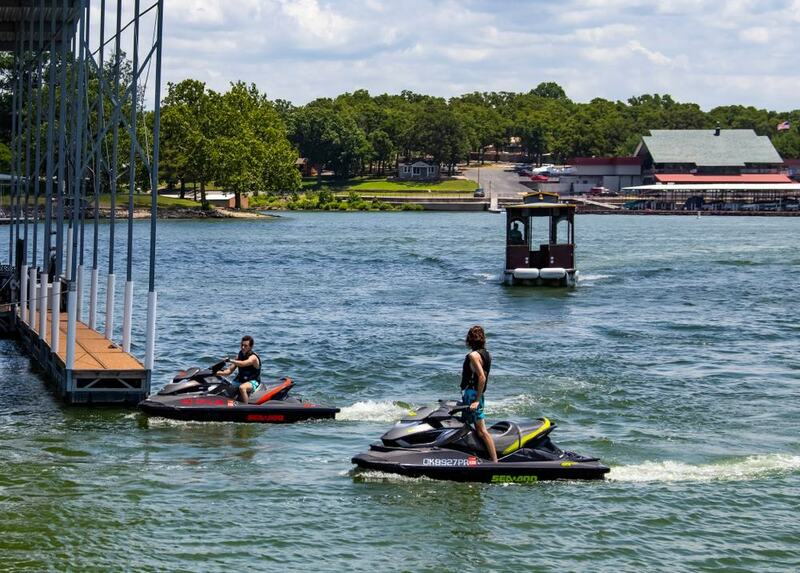 One of the most frequented lakes in Oklahoma, Grand Lake is a hotspot for nature, sport and water lovers, owing to the absolutely enormous shoreline distance of 1,300-miles, as well as the 46,000 acres of water. This makes it an ideal destination for any who are looking to canoe, swim, or even jet ski and parasail. Given the size of Grand Lake, it also has various recreational areas and villages dotted around its shores, including the scenic Honey Creek area, perfect for picnics; or Har-Ber Village, complete with an interactive museum that depicts life in the mid 1800’s. 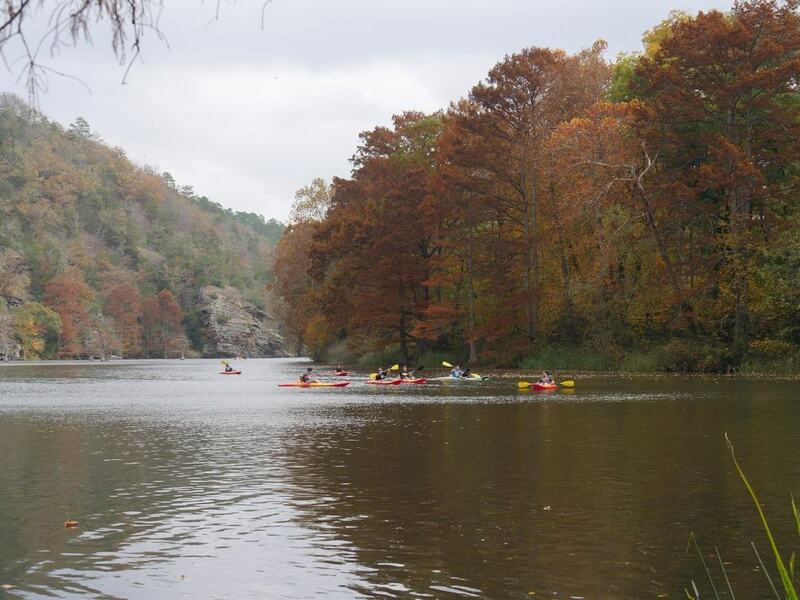 With an impossibly beautiful winding road and incredible vistas to enjoy as a preamble to arrival, the mountainous Beavers Bend State Park is one of the most popular in the country. Growing around the shores of the glittering Broken Bow Lake, complete with crystal clear water and secret dive points, the state park also follows the banks of the Mountain Fork River. 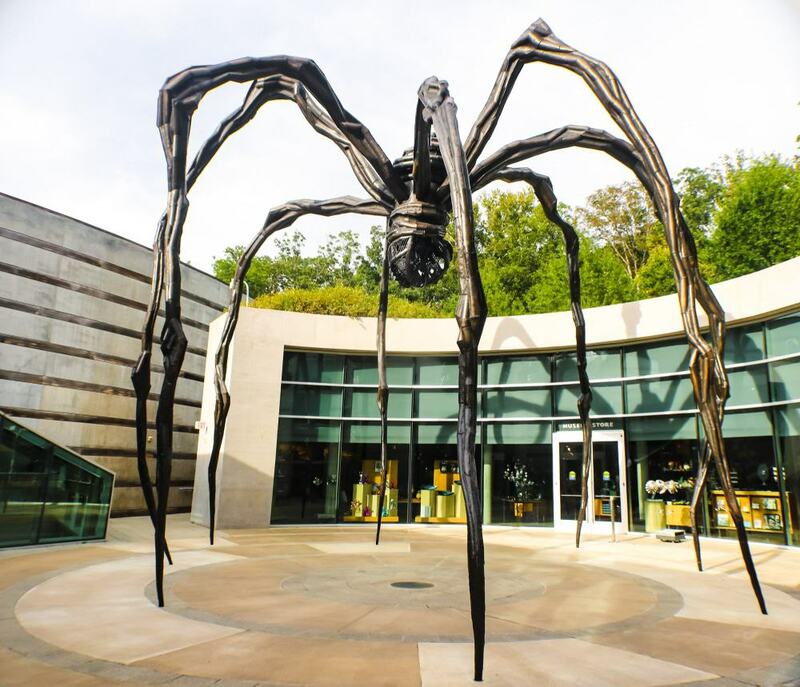 Found in nearby Bentonville, Arkansas, the Crystal Bridges Museum of American Art is a haven for both art lovers and passing visitors, and is unique in terms of the quality of its exhibits and settings. Uniting the fascinating exhibits with the beauty of the natural surroundings, Crystal Bridges offers some excellent hiking in the parkland area surrounding it, including two spring-fed pond trails that are littered with impressive sculptures. You’ll also find a restaurant house in one of the many pavilions that make up the museum, meaning you can easily spend the entire day here. 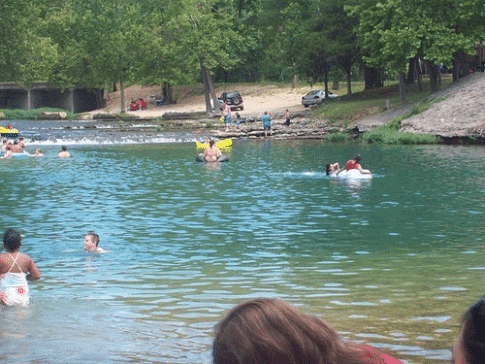 If you head to the South Fork of the San Gabriel River, you’ll find the gorgeous Blue Hole Park, whose centerpiece is a crystal-clear lagoon flanked by limestone cliff walls. This park is frequented by sun seekers and playful visitors who arrive to swim, dive and relax on the warm stone surrounding the enticing water. There’s also an abundance of picnic areas complete with tables around the lagoon, so you can spend the entire day enjoying the scenic destination if you bring your own food and drink with you. 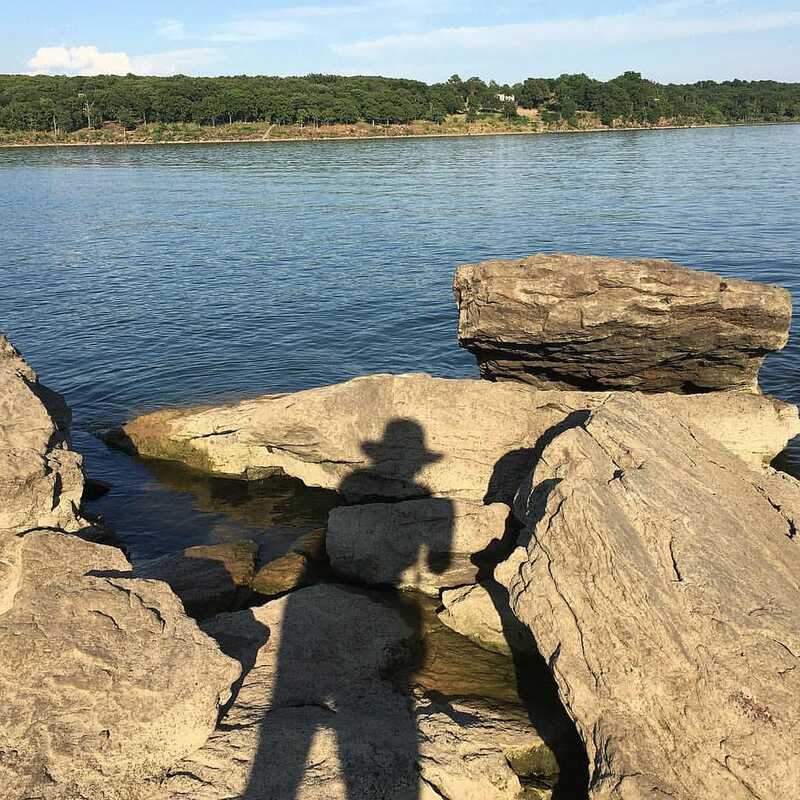 On the shores of Fort Gibson Lake, you’ll find the beautiful Sequoyah State Park, a haven for all kinds of nature lover thanks to the diversity of activities on offer. From boating to swimming, the huge areas of water and consequent shoreline make the park a popular spot for anyone wanting a dip. The surrounding parkland offers horseback riding and hiking, with horseback riding being the favourite because of the critically acclaimed Sequoyah Riding Stables. 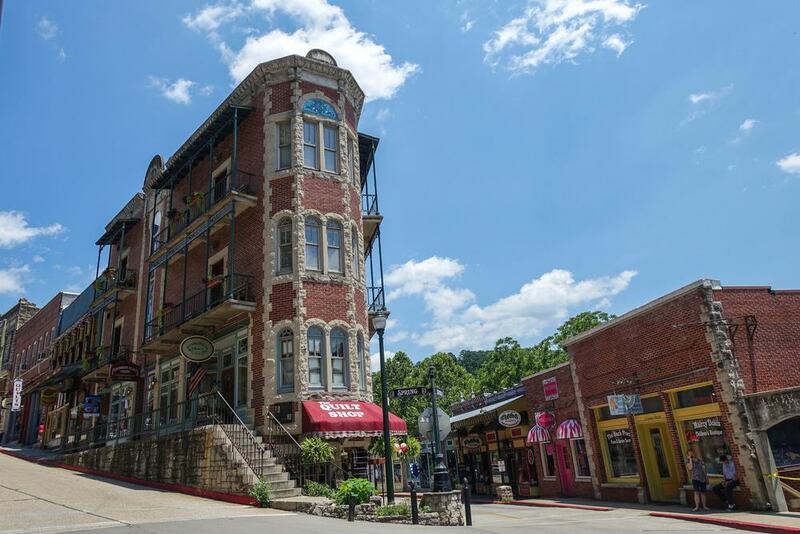 A veritable paradise for those who enjoy casual shopping and browsing various wares and trinkets, Eureka Springs is a small town in Arkansas known for its enticing natural springs and beautifully preserved, historic Victorian-style buildings. Most notable, however, is the multitude of charmingly quaint local stores and boutiques, selling everything from greeting cards and pottery to jewellery. The artisan atmosphere is incredibly welcoming and it’s easy to spend hours strolling around soaking up the small-town ambience. 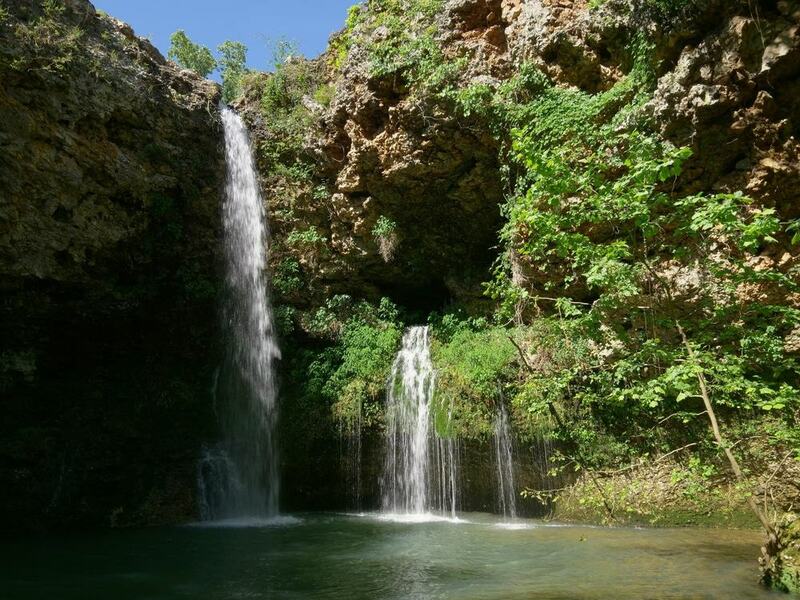 Nestled in the Ozarks, Natural Falls State Park is one of the most pristinely beautiful waterfall destinations in the entire state and also goes by the name of “Dripping Springs”. Though there are parts of the park you can hike through that are completely untouched, there are also a multitude of amenities available in the surrounding area, like grills, volleyball courts and comfort stations. It’s the perfect day trip for those with families, or who don’t want to completely detach from certain urban comforts. 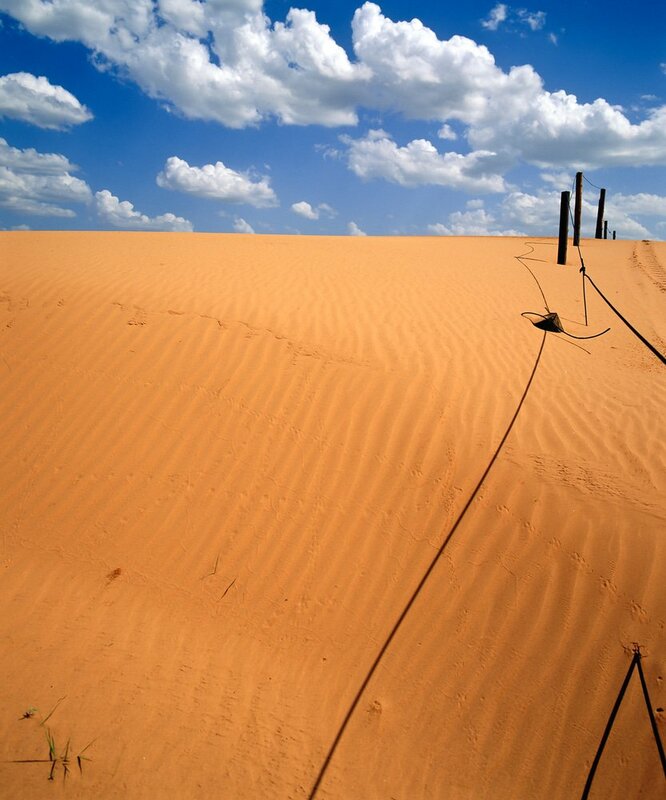 Inheriting its name from the striking resemblance it bears to the real Sahara Desert. Here, there are over 1000-acres of dunes that provide – other than the novelty of trekking through them, – the perfect terrain for various adrenaline pumping activities like dune buggying and quad biking. Concessions and groceries are also available here, making it a much less unforgiving place than its African namesake and a perfect day trip for outdoor lovers looking for something a little different.